We’ve always had a soft spot for Igloo coolers. In fact, so soft is that spot that we have dedicated entire articles to this cooler: here, here and here. Well, in our defense, what do you expect when a cooler brand is just so good? Igloo has only been around since 2013, which is relatively young in the world of coolers. However, in that time, it has brought a unique twist to the industry, fueling parties and tailgating events both large and small all over the country. With its multiple series of coolers, Yukon never disappoints, and we’re proud to be covering the latest series today: the Igloo Yukon. So strap yourself in and prepare yourself for a ride that we wish you will enjoy as much as we do. Igloo makes a lot of different coolers to fit different kinds of activities and people. Many of the series they have come up with so far benefit people who need something for their tailgating experience or their party, or even just something to carry with them to work for lunch. The real test of a cooler brand, however, is the quality of the coolers it makes for the outdoors and all the ruggedness that comes with braving the outdoors. It was only fitting that Igloo would take up the challenge and try their hand at a cooler that was specifically made for the Outdoors. That’s what the Yukon is, really: a cooler built specifically for the adventurer. If Igloo were going to get nothing else, right, they would have to get this right. This brand is known for making some of the highest quality rotomolded coolers in the market, and that at some of the most affordable prices too. 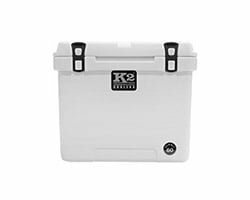 The build quality on this cooler is the kind you would expect on a Yei or something close to it, which is why we feel like we stumbled upon a low-cost Yeti every time we come across an Igloo cooler. But we’ll talk about the similarities and differences between the Yukon and its Yeti counterpart soon enough. 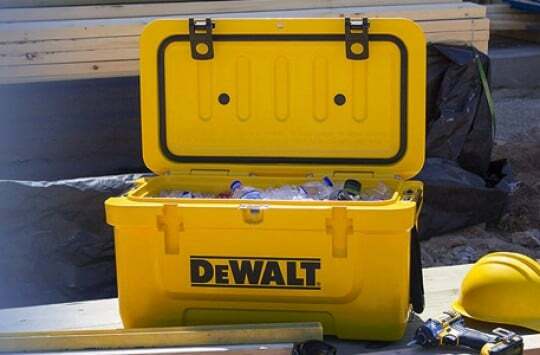 For now, allow us to gush over all the strength and ruggedness of this cooler. 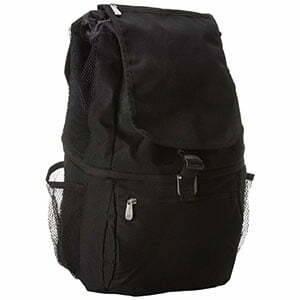 The cooler is rotomolded, of course, as is expected of any high-quality cooler, and is made of polyethylene. The highest quality rotomolded coolers (like those ones here too) are always made of polyethylene, which happens to be a particularly strong plastic. On the inside of the cooler, we happen to have some pretty good insulation: polyurethane. That is 3 inches of polyurethane on the lid for extra insulation on top, where the cooler will typically lose most of its heat, and 2 inches on the sides and bottom, to make sure your food and drinks are well insulated. With insulation like that, you can expect frozen things to stay frozen for a pretty long time. As far as the design is concerned, this cooler is pretty non-assuming. 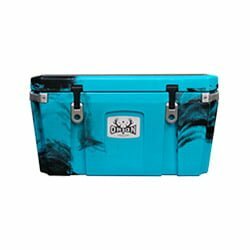 We’re used to some pretty unique cooler designs from Igloo; meshing colors that make their coolers look fresher than the weather on a spring morning. However, this particular cooler is pretty much what you would expect your average cooler to look like, with a few tweaks here and there to give it a distinct Igloo identity. 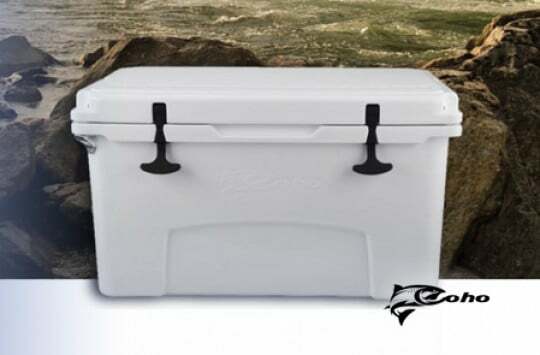 The cooler has some curves around the edges of the lid, softening the otherwise rigid appearance of the cooler and making it look a little more dynamic. The logo isn’t in the center of the side, as is usual with most cooler brands. Instead, it’s somewhere near the bottom edge, leaving a large part of the front face and pristine for the most part. It’s a great big “YUKON” spelled in a dynamic-looking font to give you that energetic feeling that you really are going to conquer the outdoors. If that doesn’t make you just want to hug the cooler then I don’t know what will. 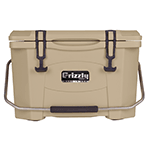 Oh, and did we mention that this cooler is bear resistant? Well, it is! That right there is an ode to the great construction on this cooler; so strong that not even a bear can open it. Let’s start with the lid. The greatest point of vulnerability on any cooler is the lid. That is where most of the heat comes in or goes out and that is also the weakest part of the rotomolded structure since it is hinged and it can be opened. It is therefore very important that the lid has some strong hinges, a powerful gasket, and high-quality locks that secure it excellently. The Yukon takes care of all of these aspects. The lid is gasketed, of course, to make sure no air or water goes in or out of the cooler when it is locked. On top of that, it has 3 inches of polyurethane, protecting the inside from gaining or losing temperature from the outside. It also has some highly secure locks. There are two T-Rex locks that make sure the lid is well protected once securely locked so that nothing can pry it open, not even a bear. That is why it is certified bear-resistant. The surface of the lid itself happens to be textured to be non-slip. This is a deliberate aspect of the design made with fishermen in mind. Imagine pulling the largest catch of the century onto your boat and placing it on top of your cooler, only to have it slide off and, potentially, jump back into the water. The catch of the century would surely be followed by the waste of the century in that case, wouldn’t it? Well with a non-slip lid you can place your fish on the lid before putting it on the inside of the cooler without having to worry about anything. At this point, you’re probably wondering why you have to place your catch on the top of the lid in the first place. Why not just place on a different surface for preparation and then straight into the cooler? Well, maybe you want to measure the fish for size. Speaking of measurement, that brings us to the next great feature that this cooler has: a fish scale, right there on the edge of the lid, so you can easily measure the size of your fish. It’s pretty convenient. You now get to know if your catch really is the catch of the century. On the inside of the cooler, great care has been taken to ensure that the contents come into as minimal contact with the sides of the cooler as possible. The reason why is that the sides and lid of the cooler can conduct in a lot of heat when the contents come into contact with them. The Igloo guys call it Cool Riser Technology because it is also supposed to allow ample air to flow underneath the contents of the cooler. In case you need to drain your cooler after a long trip and good service, there is an oversized drain plug on the side. It allows you to drain all the water out in a matter of minutes. It’s also tethered, meaning you can forget about losing your drain plug and having to look everywhere for it. With all the great insulation this cooler has, it’s no wonder that it will retain ice for a matter of several days. The Igloo website didn’t give an official number but our own experiments show you can get an easy 6 days of ice retention with this cooler. That is more than enough for an outdoor excursion. TIP: You can go for even more and maximize Yukon ice retention using pre-chilled ice packs. Here are the ones we recommend. 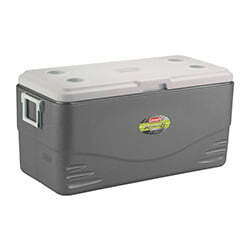 The cooler comes in two sizes: the 50-quart cooler and the 70-quart cooler. Considering the fact that it’s made for heavy-duty outdoor use, it makes sense that they would only make 50 quarts and above available. As for color, it comes in only two colors: white and tan. We feel like Igloo could do a little more when it comes to color variety, given their track record in this area. But do not forget that you can always personalize the look of your Yukon. 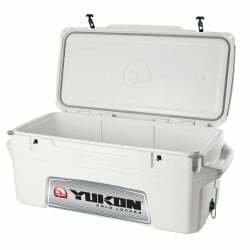 The best counterpart to the Igloo Yukon Cold Lockers is the Yeti Tundra series. Here there are quite a lot of points on which to make a comparison. When it comes to design, both are pretty well-designed coolers, and we feel like any bias, either way, would be informed by a subjective preference of either brand, rather than any objective superiority. Both are high-quality rotomolded coolers with a fairly similar look. When it comes to ice retention, however, the Yeti Tundra wins by a fair margin. We have tested the Tundra before and it has always proven to be capable of retaining ice for 10+ days. 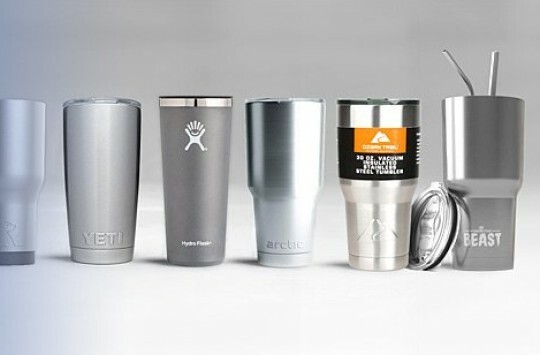 When it comes to color and size variety, the Yeti still wins out, though we feel like it isn’t such a great victory for someone who is more interested in the functionality of the cooler, as opposed to its form. 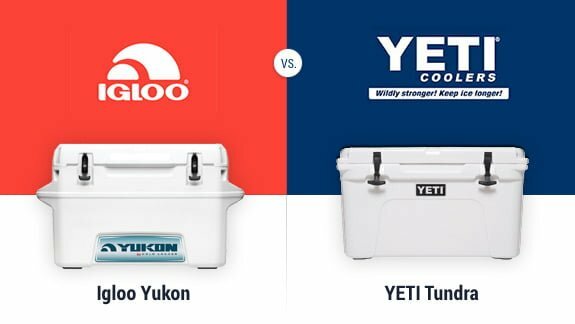 Igloo Yukon cooler beats Yeti on price, which makes it a great bargain for those who are looking for quality on a budget. We all know how much of an industry leader Yeti is. If you’re a die-hard Yeti fan, then by all means, go for the Yeti Tundra. 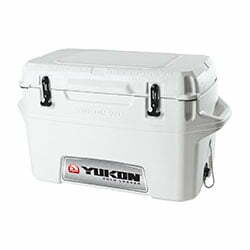 However, if you’re looking for extreme ice retention, and want something that’s a little more affordable than the Yeti, then you can’t really go wrong with the Igloo Yukon. The nearest competitors to this cooler series, at least when it comes to functionality and price, are the Coleman Xtreme Cooler and the RTIC range of coolers. Coleman Xtreme coolers, as you might infer from the name, are built to withstand extreme conditions without breaking a sweat. They have heavy duty wheels, which is something the Yukon doesn’t have, but that’s because there are some pretty large Coleman Xtreme coolers that you just can’t haul around that easily without some wheels. They also come with cup holders for your drinks. Other than that, they are pretty much par with the Igloo Yukon, which is bear resistant and retains ice longer. With RTIC coolers, the greatest advantage you get is more size options, though the color options are just as limited as with the Igloo Yukon. They’re also cheaper than the Igloo Yukon. The ice retention is better on the Igloo, though, so you’ll have to consider that as you make your decision. 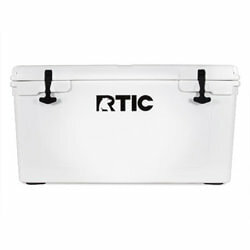 Read our RTIC cooler review post or get it on Amazon. You can buy this cooler in a lot of places, both online and offline. If you’re looking to make a purchase online, you can try out the Igloo website, Target, Walmart, eBay, and a few other ecommerce sites. However, we recommend that you make your purchase on Amazon. You get some great advantages when you buy anything on Amazon. If you’re a prime member, you get same day shipping and sometimes free shipping as well. You also get free returns if you don’t like the product as a result of the Amazon Buyer Protection program. Finally, you get to read real reviews by other customers who have bought the product before you and share what they think about it. Did you enjoy the ride? Was it cool? Hopefully, you felt a little shiver of excitement as you braved the Yukon Cold Lockers with us. We love it and we hope you do too. Happy camping!